How to Add Funds to Your Stock Broker? First of all, stock broker is the agency who buys stock for us, investor. I have an account with COL Financial and therefore the instruction mentioned herein is based on my experience with COL Financial. I have told you before that I am an OFW, in Saudi Arabia whenever we send money to Philippines in a single account we have to pay SAR 18 (Approximately Php 200) so if we are not wise enough and we will send our funding through this method we will already loose some of our capital. So how do I send funds to my COL Financial account? 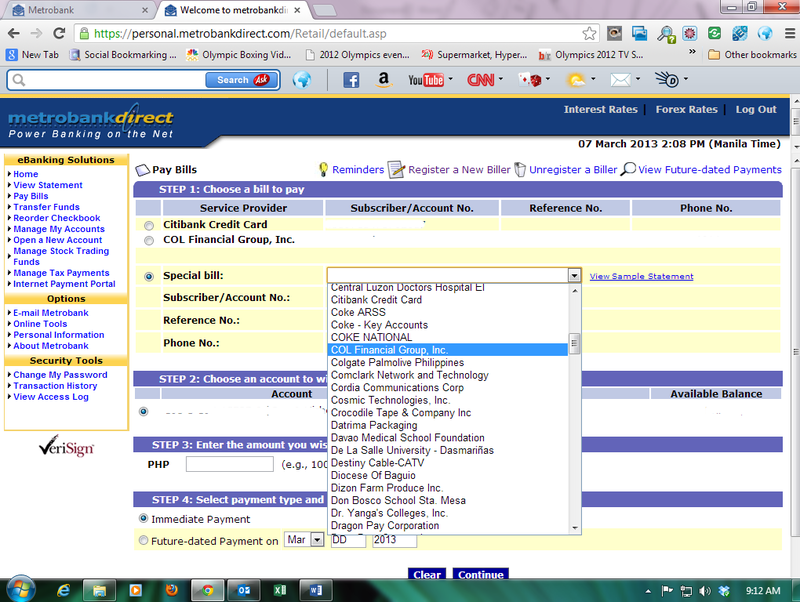 It’s easy I use online banking from my bank in the Philippines. In my case I am using Metrobank as my financial hub. I send money to my Philippine Bank Account (Metrobank) and from there I will distribute my remittances, credit card payment, including funding to ColFinancial. So in this case I am only paying once in sending money from Saudi Arabia to Philippines. But there is a catch, In Saudi Arabia, there is a certain limitation on the amount of money that we can send to Philippines depending on our work permit. In my case I don’t have problem since my visa category have high limitation. We have also checked the BPI Pinoy online banking and I can confirm that they have the capability of sending funds to COL Financial. For COL Financial users, you just have to get your user id and place it in the space provided by Metrobank (Subscriber/Account No.) . After your first transaction it will now be located in your banks dashboard and all you have to do Is just to choose this in the option. 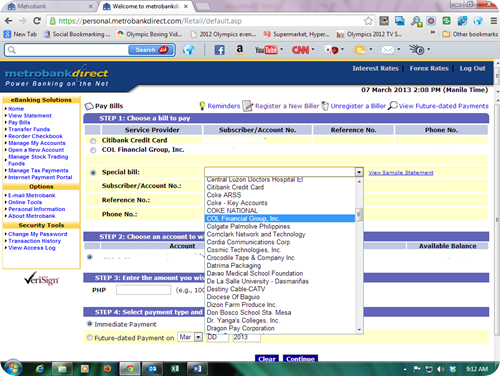 It would be faster if you will inform Col Financial and send them a screen copy of your payment. I have been doing Internet banking for more than 9 years and I could say that I did not face any problem with Metrobank. They are strict when it comes to adding beneficiary since you have to do it on your local branch. But in funding your COL Financial you don’t have to go to the branch in order to add them in you bills payment. For those asking about bank charges, I have not seen any deduction in any of my transfer to COL Financial. Previous postCOL Financial's Claim Procedure in Case of Stock Holder's Death Next postHow to Stay Updated With Your Portfolio News & Events? 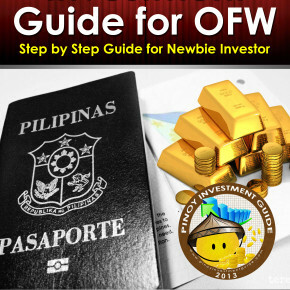 I’m not an OFW but I am planning to move to COL Financial soon. And I’ve got both BPI and Metrobank accounts, so it’s nice to know it’s going to be pretty easy. By the way, how long before the money you send (through BPI/Metrobank) gets credited to COL? nect business day? or instant? Based on experience it only takes 1 to 3 hrs upon transfer from Metrobank. I just have to inform them by emailing those who have assisted me during account opening.